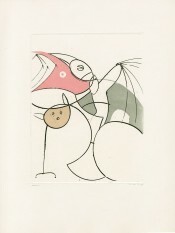 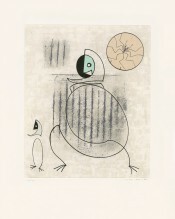 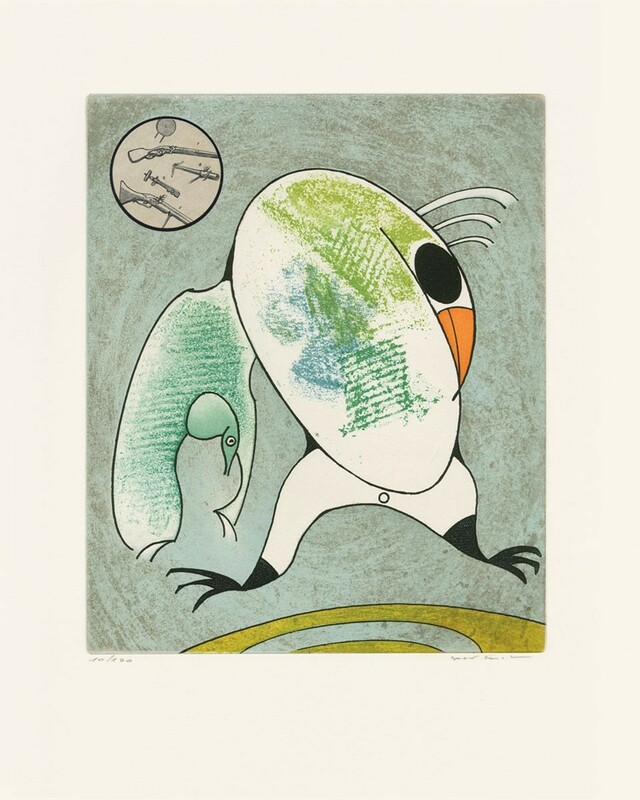 This work was taken from page 5 of “Oiseaux en péril” (Birds in Peril) by Dorothea Tanning, published by Éditions Georges Visat, Paris, in 1975. 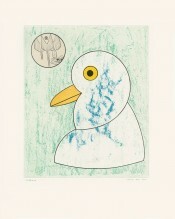 Signed and numbered. 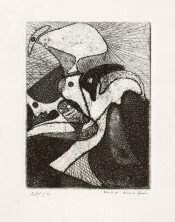 Through his provocative and innovative artwork, that took aim at the absurdity of social conventions and the arrogance of western culture, the great surrealist disrupted the art world to a degree that remains unmatched to this day. 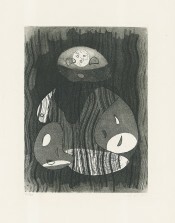 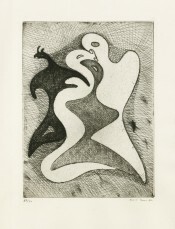 This beautifully composed etching accompanied a series of poems written by his wife, the famous poet Dorothea Tanning.